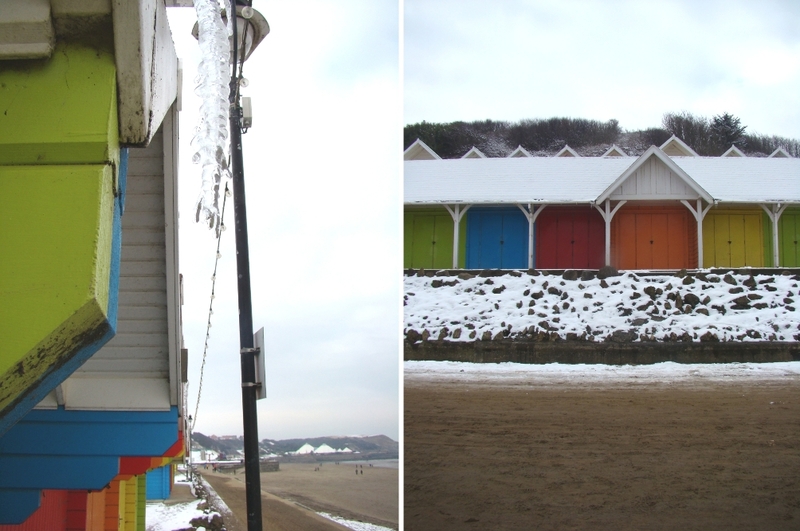 We were incredibly lucky whilst we were in Scarborough that although there was snow everywhere and it was freezing, especially in the sea breeze, it was still very sunny and both Thomas and I had the opportunity to take lots of photos. I still haven't developed my photos but I loved Thomas's so much that I wanted to share some of his photos here too. I always love the details that Thomas notices that I don't - the texture of the snow against the sand, the huge icicles hanging from the beach huts, the snow on the cliffs in the distance... I guess last weekend counted as an extended photography date :) hurray.